Fruit preserves means the preparations of fruits along with some sweetener like sugar and then either canned or sealed to store for a longer shelf life. Varieties of fruit preserves are jam, jelly, marmalade etc. All these preserves differ from each other in consistency, ingredients used and the preparation method. But each of these preserves is so easy to make at home and tastes delicious. Jam is made from fruit that is crushed or chopped and then cooked with sugar until the fruit softens and loses its distinct shape. While the jam cooks, it loses water and thickens into a spreadable state. Jelly is the most refined one among all preserves in terms of processing. Here the fruit is crushed and cooked to extract the juice before being strained through a jelly bag or cheesecloth. The strained juice is then boiled with sugar and stabilizer, so that the jelly holds its shape. Jelly tends to be firmer than most other fruit spreads. 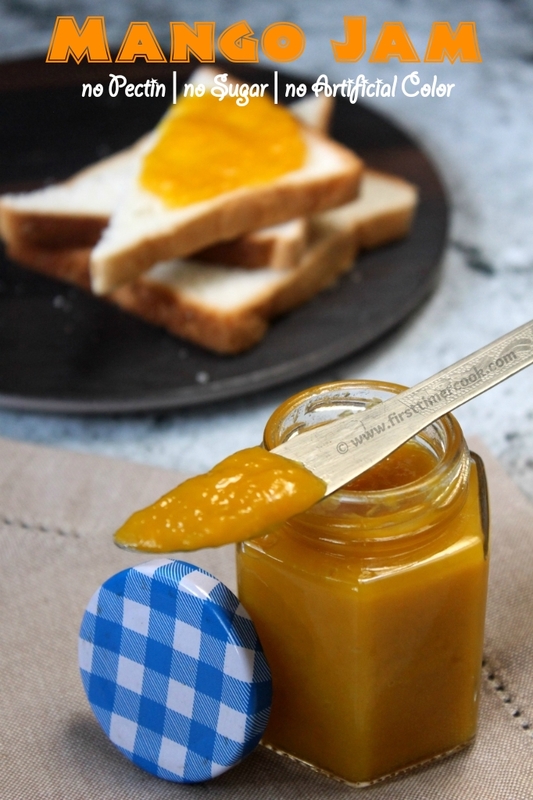 Marmalade is one of the few preserves that does not require added pectin as citrus zests already contain a large amount of the natural gelling agent. Citrus zest and juice are frequently used in marmalade. 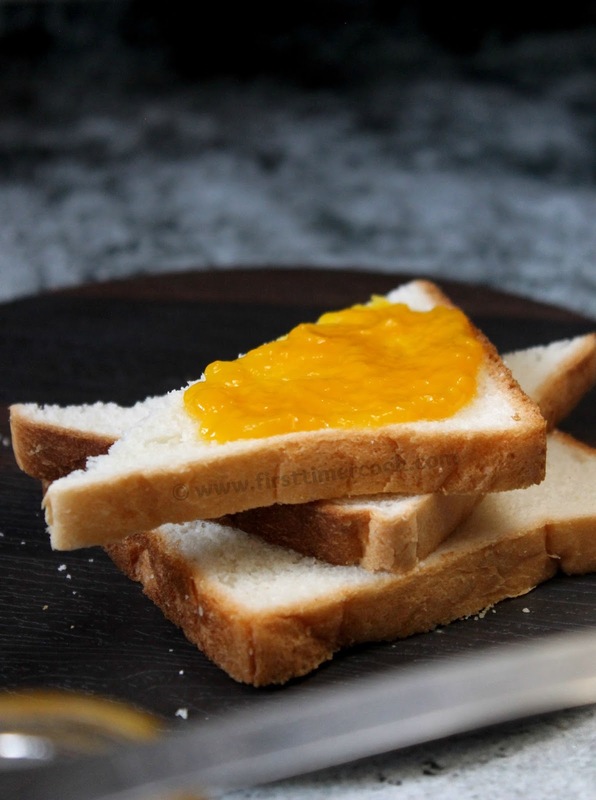 These fruit preserves have lasted beyond becoming outdated and are much popular sweet spreads for breads, sandwiches, and many other foods. Well, summer season is on full swing in India. And summer is the time of the fruit - Mango, the national fruit of India. It is a tropical fruit which plays the significant role from end of the spring to end of summer. So here I have come up with a preserve using this versatile fruit mango as Mango Jam. 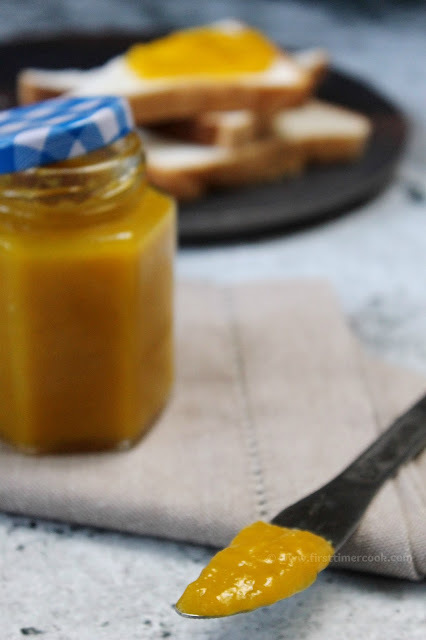 This homemade mango jam is so easy to make and used only 3 ingredients. Though I have added a pinch of ginger powder, but it is completely optional. No pectin is used here, instead lemon juice is added to the jam. Since no pectin is added, so it is recommended to prepare in a small batch which will be finished within 3-4 weeks. Also if the much flavorful mango is opted then the jam'll be with more bursting smell. This mango jam is healthy one since no sugar is added. I have added honey in place of sugar and that too a little since the mangoes which i have used are more ripe ones and sweet too. Just apply on any favorite toasts or tea cake or even over salty cookies and relish ! In a nonstick pan, take mango pulp. Over low heat, cook the pulp stirring in between. Then pour honey and mix using a wooden spatula. After 2-3 minutes add in ginger powder and mix everything well. Keep cooking stirring in between till the whole mixture will be of a slightly thick consistency and starts leaving the sides of the pan. Add in lemon juice and give a quick mix. Allow the jam to cool down completely. Store in a clean and dry air tight container. I prefer my jam to be smooth, so used mango pulp. But small chunks of ripe mangoes can be preferred. Then the cooking time will be bit more. Adjust the amount of honey depending upon the sweetness desire. Always prefer to keep the jam in refrigerator for longer shelf life. This 'Mango Jam with no Sugar, no Pectin, no Artificial Color' is contributed for 48 Healthy Wellthy Cuisines where the theme is 'Summer Preserves'. Here are more similar recipes shared by our Healthy Wealthy Group members as Mango Pickles, Strawberry Jam, No-Sugar Strawberry Preserves with Chia. 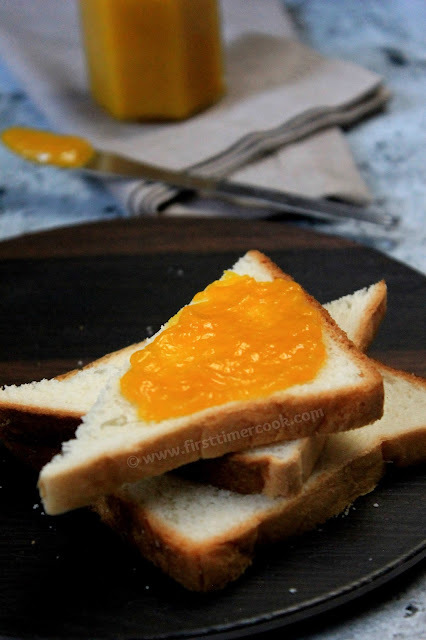 I love Mangoes in any form .This Mango Jam looks so good. Fantastic share Sasmita. Love homemade jam and you mango jam looks and sounds so yummy. No preservatives makes it just perfect. Adding ground ginger sounds interesting and delicious. Love these homemade condiments and your jam looks delicious . Nice share. Delicious! I love the colour you have here for the jam. 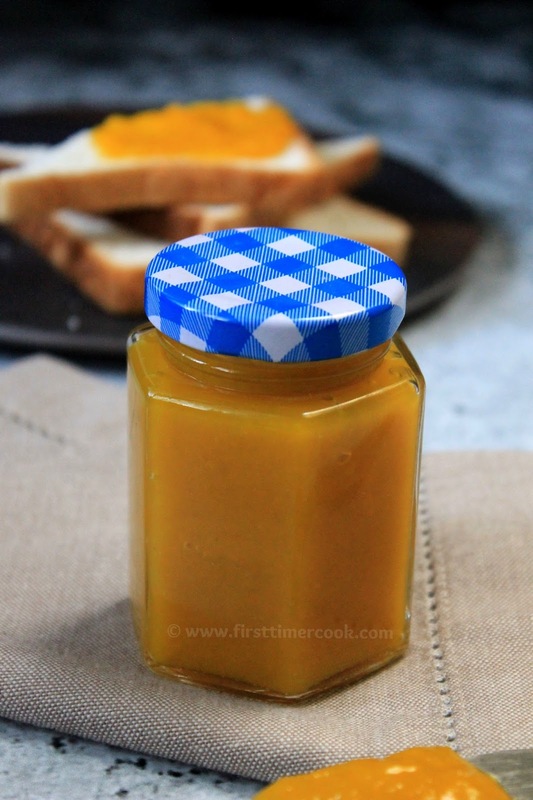 I love making jams at home and last year had made a jar of mango jam which disappeared in no time. However have to try your version with honey in it. 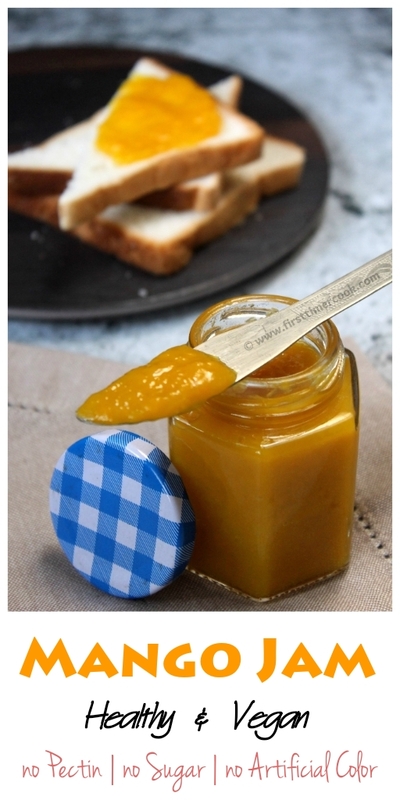 What a coincidence we both posted mango jam, I like your refined sugar free version, looks great! Love your healthy recipe and the detailed post explaining the difference in jam, jelly and marmalade. Will definitely try this soon, now that the mangoes are at their peak in Lahore. Nothing to beat homemade preserves!! I definitely make a batch of it every mango season!! Love this simple and easy recipe!! I also prefer making jams at home..the last i made a few months back was the strawberry one..now that i have this easy recipe , next on my to do list is mango jam..lovely color and beautiful photography as always ! Addition of ginger sounds interesting! Homemade Jam is always best!